At Ecomare you can see seals, porpoises and much more of other sea inhabitants from very close. Outside in the basins and inside the sea aquariums. Every year about one hundred young seals are collected. 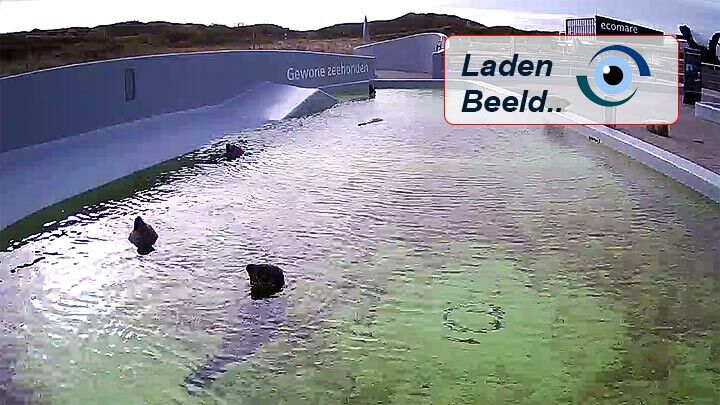 View the live images of the fixed group of normal seals here. Outside the opening times the seals often climb out of the basin; just look before 9 a.m. or after 5 p.m.! Click in the bottom right corner of the video for a full-screen view.